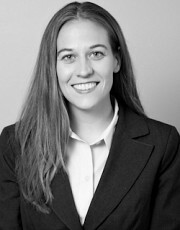 Kathleen is a registered patent agent who applies her technical expertise in control systems, robotics and applied mathematics to conducting validity research and analysis, infringement analysis, inequitable conduct research and analysis, patent portfolio analysis, freedom to operate searches, patent landscapes, and drafting inter partes and ex parte reexamination requests. Kathleen has worked closely with expert and fact witnesses on technical case issues, including assessing accused product functionality, researching and analyzing prior art, and preparing and assisting with depositions and direct and cross examinations at trial. Kathleen previously worked as a project manager for Epic System Corporation, where she designed, developed and delivered employee and client application training and managed the inpatient procedure orders application for a collaborative 15 hospital electronic health record install. Kathleen received Carpenter and Aviator Awards during her time with Epic.